Bittersweet Enchantment: Book Blog Tour: The Essence (The Pledge #2) by Kimberly Derting / Book Spotlight + Giveaway! 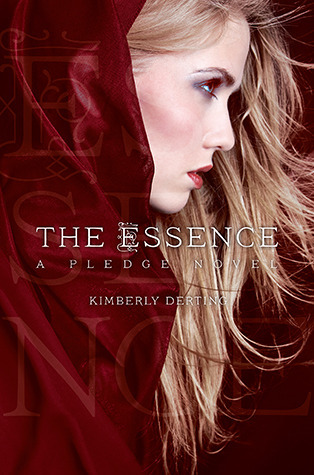 Book Blog Tour: The Essence (The Pledge #2) by Kimberly Derting / Book Spotlight + Giveaway! 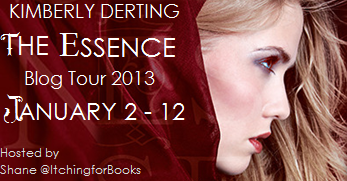 Hi everyone and welcome to The Essence by Kimberly Derting Blog Tour. Today is my stop on the tour and I was suppose to do a review for the book but unfortunately the book was never sent to me so instead I will be doing a promo post and giveaway. I hope everyone enjoys this post and be sure to enter the giveaway below to win a copy of The Essence. Kimberly is the author of the BODY FINDER series (HarperCollins) and THE PLEDGE trilogy (Simon & Schuster). She lives in the Pacific Northwest, the ideal place to write anything dark or creepy...a gloomy day can set the perfect mood. She lives with her husband and their three beautiful (and often mouthy) children who provide an endless source of inspiration. Thank you for stopping by. Please use the form below to enter. US only. I loved The Pledge and am so excited to read The Essence! I would love to read this book. Thank you so much for the giveaway.